Two years after fatally shooting a subdued terrorist during a 2016 security incident in Hebron in an incident that created a political firestorm in Israel, former IDF soldier Elor Azaria asserts he did the right thing. In an exclusive interview with Israel Hayom, Azaria, 21, who was convicted of manslaughter and conduct unbecoming, insisted that he has no regrets and said he was simply doing his job. Azaria was released from prison three months ago after serving nine months of his 14-month sentence. He was also demoted from sergeant to private and has since been discharged from military service. Azaria’s trial and subsequent conviction sparked a heated public debate that all but split the country in half. Many were outraged by the conviction, arguing that Azaria was a hero who did the right thing by taking the fight to the enemy, while others said his decision to shoot an injured and incapacitated terrorist who was probably no longer a threat was a stain on Israel’s military. “I am at peace with what I did, I acted properly and followed my inner truth. I did the right thing and this affair shouldn’t have become what it did,” Azaria told Israel Hayom. “I have no remorse whatsoever,” he stressed. 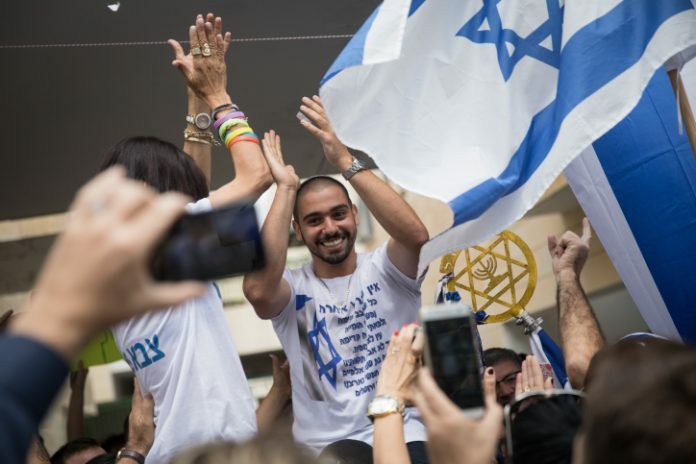 During the interview, Azaria said he was moved by the love the Israeli public showed him. “It is definitely heartwarming. The Israeli people have become one, they stood by us throughout the entire ordeal, and I would like to thank them for the help they provided me and my family at any given moment. This is far from obvious. There are simply no other people like the Israeli people,” he said. He said the affair has not undermined his sense of patriotism. “I will always love my country and the IDF,” Azaria said, noting that despite his trial and conviction he intends to carry out military reserve duty. Azaria said he was sure the terrorist was carrying an explosive device. “I acted on my instincts in the spur of the moment – it all culminated into that point and I acted in full accordance with what I was trained to do from the moment I became a combat soldier,” he said. “I was interrogated at 6 or 6.30 p.m. and two hours earlier Moshe Ya’alon, who was the defense minister at the time – and thank God is no longer in this position – issued a condemnation, as did the [IDF] chief of staff. Their statements gave the impression that the Military Police had already interrogated me and conducted a full debriefing,” he said. Azaria says the heavy criticism had no effect on him. “I know I did what I was supposed to do, and there is nothing anyone can do to change my mind. That’s why I appealed,” he said. “Despite people trying to dissuade me, I didn’t give up. There is only one truth and I was going to go with it to the very end, with my head held high. Azaria insists that the military judicial system was skewed against him. “During the appeal, we demonstrated how much obstruction there was during the legal proceedings, how the outcome was predetermined, how the witnesses were tampered with and how the facts were distorted,” Azaria said. The full interview will be published on Friday in Israel Hayom’s weekend magazine.